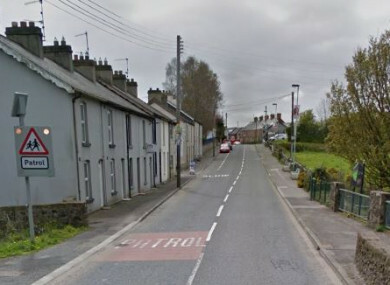 A MAN HAS been arrested in connection with the murder of a 64-year-old man who was found dead at his home in Antrim on Sunday evening. Police were called to the scene on Mill Road, Crumlin after concerns were raised by a member of the public in relation to Robert Flowerday. His body was subsequently found when police arrived at his home on Sunday evening and a murder investigation was launched. The PSNI confirmed to TheJournal.ie that a 33-year-old man has been arrested in connection with the murder. PSNI detective chief inspector Alan Dickson said Flowerday was last seen alive when he left Dundrod Presbyterian Church at around 12.45pm on Sunday. He cycled home from the church on Sunday afternoon wearing a high-visibility jacket. The PSNI is appealing to anyone who may have seen Flowerday between 12.45pm and 9.50pm on Sunday 28 January to come forward. “I am particularly keen to speak with anyone who saw or spoke with him at any time over the weekend, or anyone who was in his company,” Dickson said. Anyone with any information in relation to the incident can contact detectives on the non-emergency 101, quoting reference number 1304 28/01/18. Alternatively, information can be provided to Crimestoppers on 0800 555 111. Email “Man arrested in Antrim in connection with murder of 64-year-old man at his home”. Feedback on “Man arrested in Antrim in connection with murder of 64-year-old man at his home”.